In this post I show how to use a normal Freescale Freedom (FRDM) board into a SWD (Single Wire Debug) debugging probe to potentially debug any other ARM Cortex core supporting SWD. I’m using here the FRDM-KL43Z board, but the other Freescale Freedom boards are very similar. J18: This is a header to separate the trace between the OpenSDA/K20. 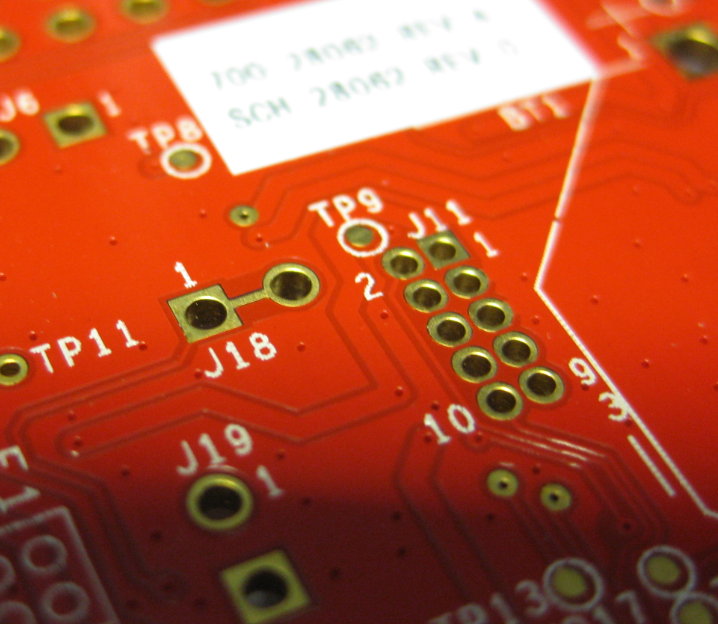 Both J11 and J18 are *not* populated on the board. With the default (P&E) firmware on the FRDM-KL43Z it is *not* possible to debug another processor, except the device on the FRDM board itself. 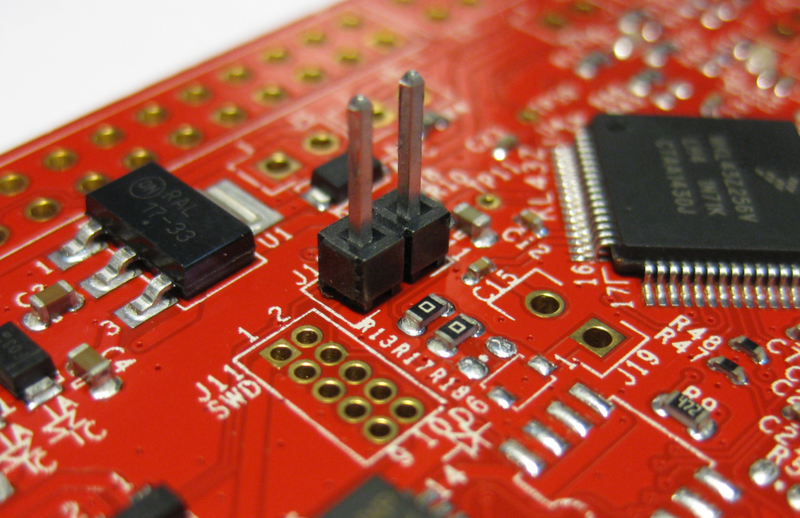 1) The firmware is only to be used with Freescale target devices. Using it with other devices is prohibited and illegal. 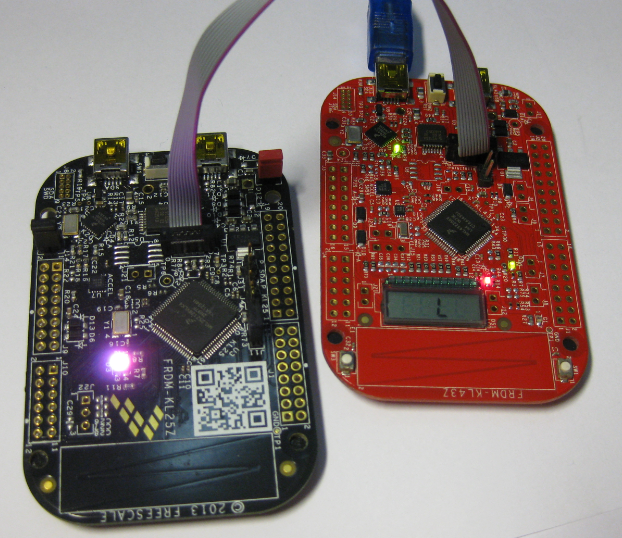 2) The firmware is for use with evaluation boards only. It is not for use with custom hardware. 3) The firmware may only be used for development and/or evaluation purposes. It may not be used for production purposes. 4) The firmware is made available without any warranty and without support. 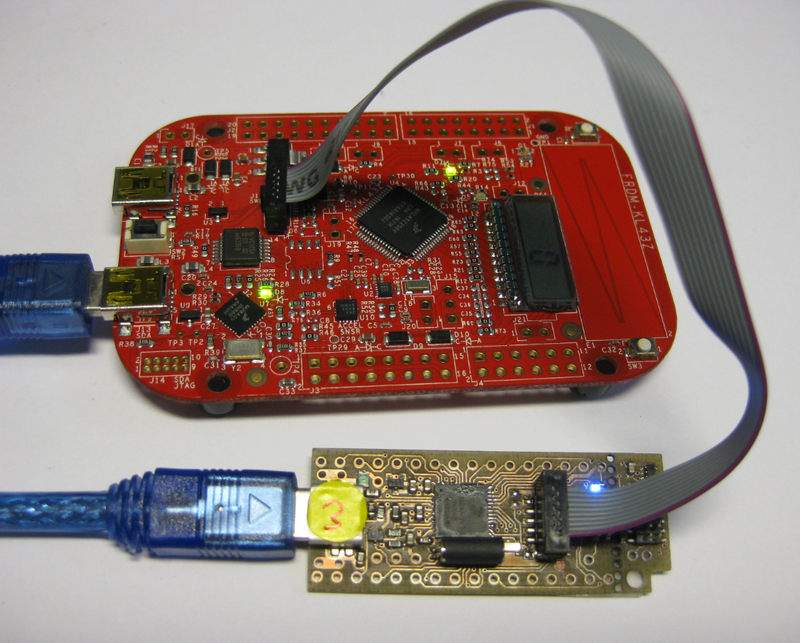 5) The firmware may be used with the OpenSDA platform only. 💡 In case you want to use the board with Windows 8, 10 or Mac, you need to have first a Windows 7 machine to update the bootloader. 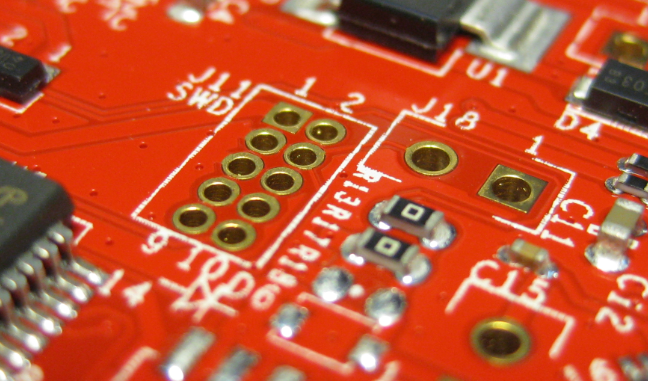 See “Illustrated Step-by-Step Instructions: Updating the Freescale Freedom Board Firmware“. Power the board through the USB port labeled ‘SDA’, while having the Reset (RST) button pressed. The board enumerates as ‘BOOTLOADER’ device (MSD, disk drive) on the host. Copy the firmware file to the BOOTLOADER device. 💡 If the ‘copy’ operation fails or does not work: use the command prompt, additionally make sure you don’t have an issue with firewalls or virus scanners. 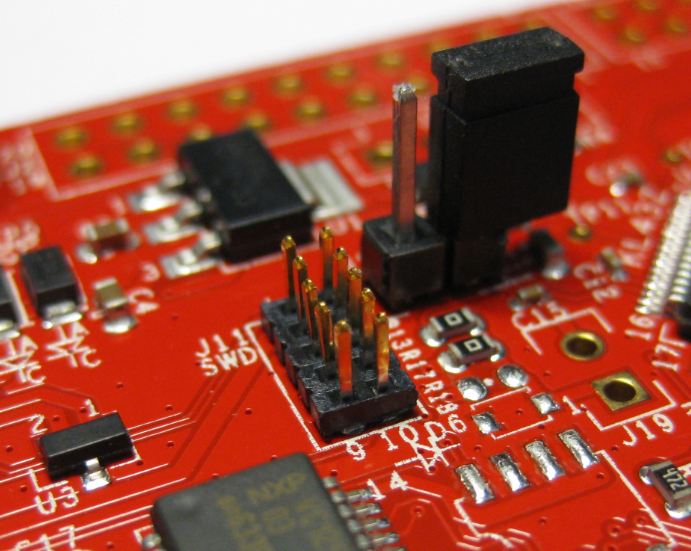 With that, the FRDM board is like a normal debug probe and can be used as such. 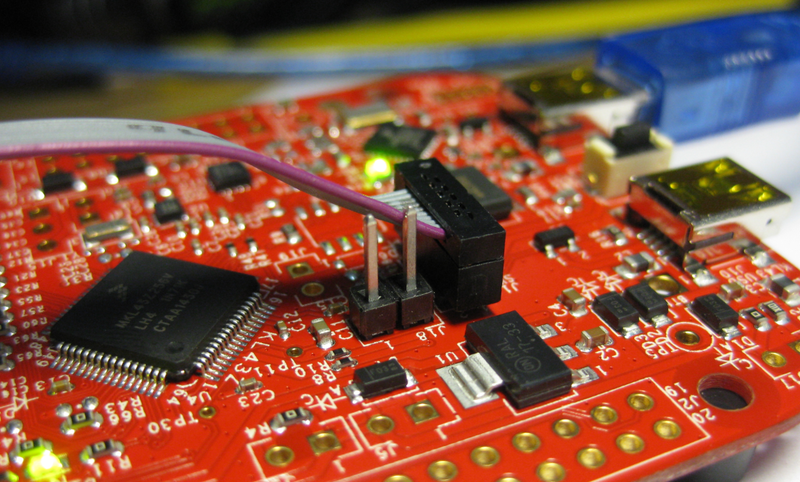 It requires some soldering skills, a little extra hardware and a firmware file to turn a FRDM board into a normal debugging probe. I still recommend to use normal SWD/JTAG debug probes e.g. from Segger or P&E, as they were able to recover and work with all of my boards (especially unsecuring devices), while the FRDM board solution works, it is not that powerful. But as a quick and cheap solution it works fine. This entry was posted in ARM, Boards, CPU's, Debugging, Embedded, FRDM-KL43Z, Freescale, Kinetis, Tips & Tricks and tagged Debugging, Eclipse, FRDM-KL43Z, freedom board, Freescale, KL25Z Freedom Board, open source projects, OpenSDA, P&E, Segger, technology, Tips&Tricks by Erich Styger. Bookmark the permalink. Why is the board(FRDM-KL43Z) ? Also on board FRDM-K64F, FRDM-K22F ……….. Yes, as noted, the same approach works for other FRDM boards. But FRDM-K64F and FRDM-K22F are using OpenSDAv2: same concept, different bootloader. But should work too (have not tried myself). I have selected FRDM-KL43Z as it is less expensive than K64F and K22F, and I see the KL43Z starting to get as popular as the FRDM-KL25Z (which currently is probably the most popular FRDM board). Another source for the 10 Pin headers is Mouser: 649-221111-00010T4LF. I add these to all the target CPU SWD on my FRDM-xxxx boards so I can debug with my J-Links. It is 150mm long. They also stock a 300mm version too. I have tried both and they work fine with my two J-Links. Can we use the FRDM in a similar way on Kinetis Design Studio? Yes, that works with KDS. I’m sorry if the procedure to attach an external target is a little difficult. 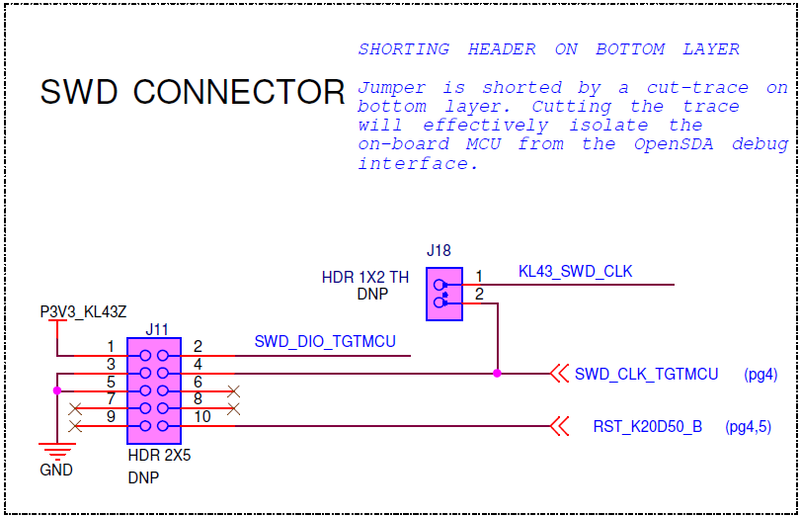 When designing openSDA hardware, I wanted to make its output able to be used with a different target, but FRDM boards were required to work with a very tight budget, so having no headers at all was requested and I came up with the idea to leave unplaced footprints and solder shorts. so you designed that board? Nice to meet you :-). 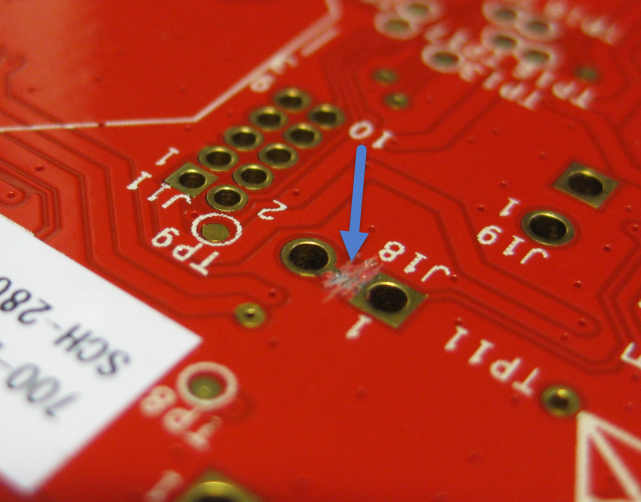 It is understood that the primary purpose of the board is to show and debug the onboard device. having parts and headers not populated is a common way to save costs: footprints and solder shorts are good to me. It is just that other vendors either do the same, or have more parts populated than Freescale. I designed FRDM concept with FRDM-KL25 board and openSDA. FRDM-KL25z bill of materials was required to cost around $5USD, including PCB; even USB routing technique is state of the art so we could maintain target impedance with a cost effective PCB (I mean uber-cheap). Actually, I had the opportunity to publish a paper about that. I’m a follower of your blog, I’m not very used to software and I would like to make a full app with FRDM boards. Nevertheless I often recommend my students to take a look at it. interesting, my thinking was that the FRDM board even in high volume will be at a cost above $5 (my guess is around $10). Is that paper you mention public somewhere? Probably you have seen https://mcuoneclipse.com/2015/11/28/a-raspberry-pi-for-5-what-are-your-decision-factors/: As for the $5 for the Raspberry Pi Zero: alone the memory and the ARM device should be around $5 in volume, not to count in all the other parts (but not that many). It is interesting to see what is possible. Hello Erich, paper is available here: http://ieeexplore.ieee.org/xpl/articleDetails.jsp?arnumber=7102514 I can share you a copy in case you don’t have access to IEEE. Yes, I saw the $5 computer, and I’m glad my uber cheap concept went in the right direction. Are you going to post how to start with it? if yes then I should definitely order one for christmas. Can i use same FRDM KL43Z board to program/debug custom made MK10DN64 board using SWD interface. What changes are to be made. Yes, you can use the FRDM-KL43Z for this. Follow the instructions in this article. So i need to separate the trace of J18 and use J11 SWD for programming and Debugging. Which OpenSDA firmware i need to on frdm board for using with external MK10DN64. Yes, as described in this article. As for the firmware, the P&E one does not allow you to program anything different than the device on the board. The licensing terms for Segger do not allow you debug your own board. So you have use the CMSIS-DAP firmware. No, there should be no problem, as long as that device is supported by the debug connection (CMSIS-DAP) you are going to use. Can you give more information on CMSIS-DAP firmware example, i want both programming and debugging functionalities. Consider moving up to Kinetis Design Studio or MCUXpresso IDE, as you have more and better choices. For CodeWarrior I had used USBD (see https://mcuoneclipse.com/2013/04/27/debug-external-processors-with-usbdm-and-freedom-board/), but that did not work any more on my Windows 10 machine. You can give it a try. so on overall, i am using windows 7 machine with codewarrior. So i can use FRDM MKL43Z board to program and debug MK10DN64 external custom board by making changes on J18 and J11 to use SWD interface. Use USBDM connection on setup. But i am still confused about the bootloader fimware, which should be there on the FRDM board. You cannot change the bootloader on the FRDM-KL43Z as the bootloader is secured with mass erase disabled. But do you think it is really worthwile to do all this work with the FRDM-KL43Z? You get an educational Segger J-Link EDU Mini for Euro 20, a fully professional tool which works for any IDE?